I doubt you’ll ever read this. I’m pretty sure my best friend is the only one that reads this blog most of the time. There has been so much vitriol thrown at you over the past few days and I feel I have to say something. I want to just frisbee toss some positivity out there because I feel you deserve that. 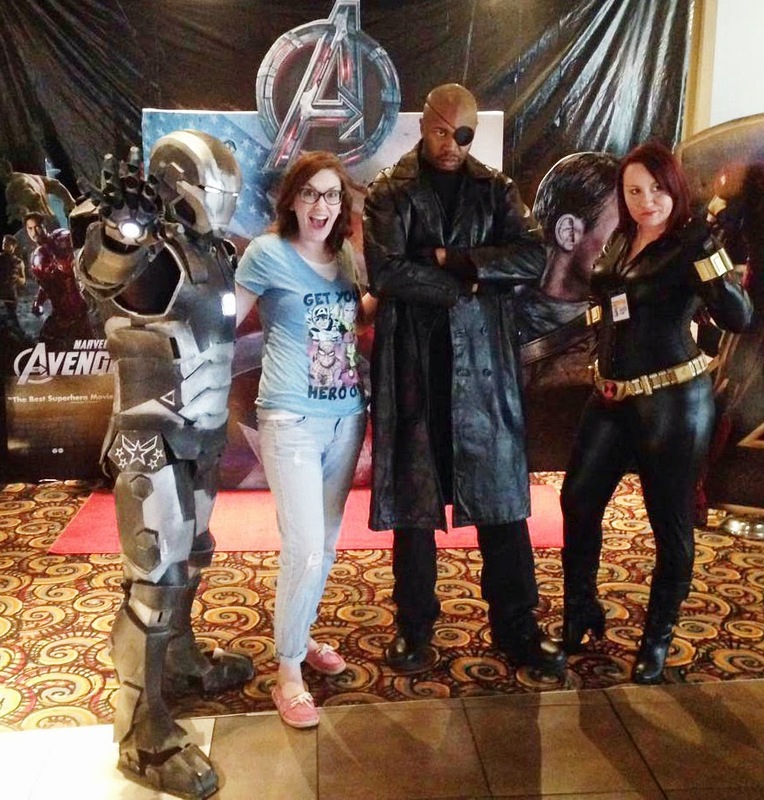 Me at the Avengers: Age of Ultron "premiere." Charlie didn't want to take a picture with the "Avengers" because he said he didn't want to be "embarrassed." Maybe because his mom ran over to the cosplayers as soon as she saw them and yelled, "Can I take a picture??!!" I’m an aspiring screenwriter and your work has inspired me more than anything else. When I first began writing, my main characters were always male. I was afraid to write about women because I didn’t think I could sell a screenplay with a woman as a main character. Then I rediscovered Buffy the Vampire Slayer in college. Buffy. Willow. Cordelia. Tara. Joyce. Anya. Yeah, yeah and occasionally-maybe-once Dawn. These women each had unique voices and character arcs. They were heroic. They made mistakes. They were people. They made me laugh, cry, and possibly rage howl at my TV. 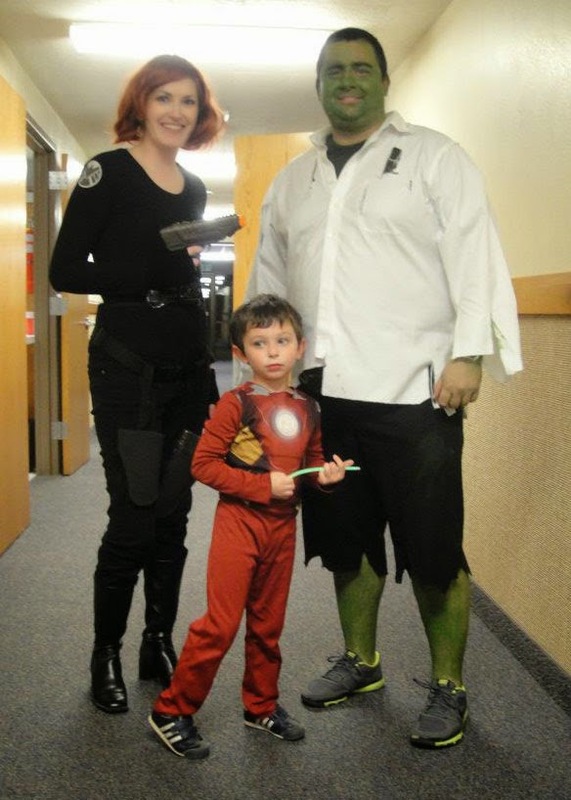 Our little family "assembled" during Halloween 2012. I have suffered prolonged health problems since my early 20s. My well worn Buffy DVDs not only made the time pass by. They reminded me I was human when I felt like little more than a lump of useless flesh on a couch. I want to thank you for your portrayal of Natasha/Black Widow in Avengers: Age of Ultron. As a woman who had to undergo a medically necessary hysterectomy at 29, I was grateful for the inclusion of Natasha/Black Widow's origin story and her forced sterilization. I appreciated the sensitivity of your script and Scarlett Johansson's performance. It’s a topic not frequently discussed in popular culture or at all, really. 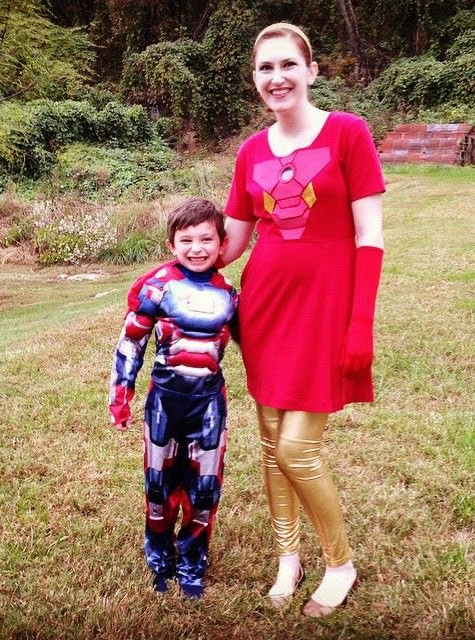 Charlie (Iron Patriot) and I (Iron (Wo)Man) during Halloween 2014. Look, I’m no Michelle Duggar. My husband and I had planned on only having one more child before we found out I needed the surgery. But three years later, it still haunts me. It's final. A closed door. At my age, that's been difficult to accept. To see a superhero exhibit the same emotions from a (sorta) similar experience was blessedly cathartic. Thank you for including such a personal story in this colossal comic book movie. Thank you for your wit, intelligence, sensitivity and for sharing all of that with us. You're one of the good guys, Joss. Don't forget that. P.S. My seven year old son adored Avengers: Age of Ultron and begged to see it again. Literally, the credits came on and he wanted to watch it over again. 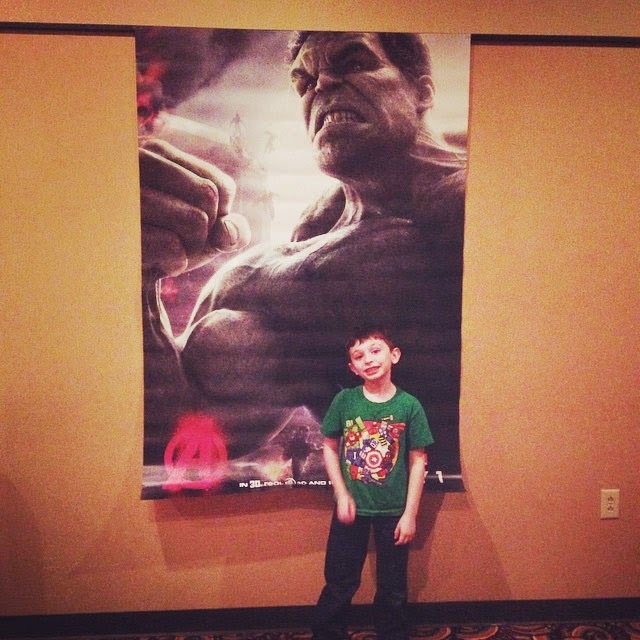 Apparently a giant Hulk poster is much less "embarrassing" . . . Here's a reader who generally just tends to lurk in others' blogs who wholeheartedly agrees with everything you say about Joss Whedon's talent; I'm a big fan too. I hope he reads too. :-) Lovely pics of you and your family! I often mutter Buffy's "where do we go from here" during personal crossroads so much of this post resonates. I saw the movie because my husband is a nerd (written with affection) and we go see all the movies. I had read a bit of the "controversy" prior to seeing the film. While I certainly have my own frustrations (e.g. Why aren't there more action figure options of the female characters for young girls), your post brings up a very different and important discussion. And I agree, why not spread a bit more light and love in this world.